This Warrior King and the world of Phagbilau were conceived and drawn by Franc Reyes. He wrote the initial story, and various writers wrote other tales. See also SUBOTAN. Front: Illus., Don Marshall. Arik Khan, 1-2, June 1978. Wraparound: Illus., Franc Reyes. Arik Khan, 1-1, September 1977. A history. Writ., Larsen. Arik Khan, 1-2, June 1978: 33. “Tales of Phagbilau.” Writ., b.p. Nicol. Illus., Franc Reyes. 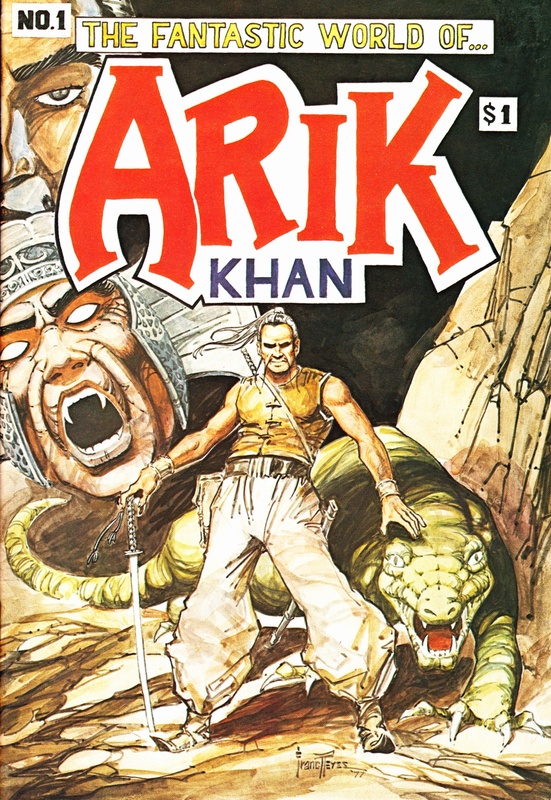 Arik Khan, 1-3, June 1979: 17-33. “Arik Khan In The Crusade.” Car., Franc Reyes. Assist., b.p. Nicol. Arik Khan, 1-1, September 1977. “The Devil’s Nest.” Writ., Ron Van Leeuen. Illus., Franc Reyes. Let., George Olshevsky. Arik Khan, 1-2, June 1978: 1-32. “ Capture.” Writ., George Olshevsky. Illus., Franc Reyes. 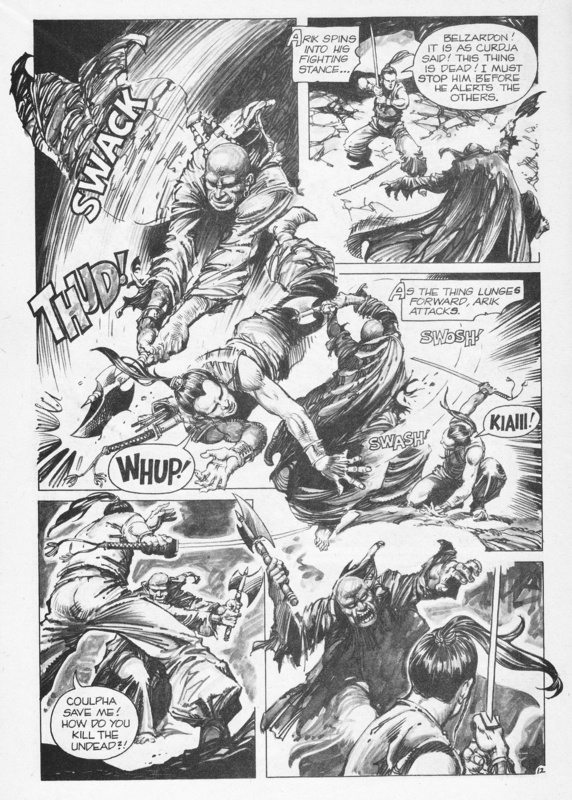 Arik Khan, 1-3, June 1979: 34-51..
“Arik Khan.” Illus., Franc Reyes. Arik Khan, 1-1, September 1977: Front cover. “Arik Khan.” Illus., Franc Reyes. Arik Khan, 1-1, September 1977: 12.